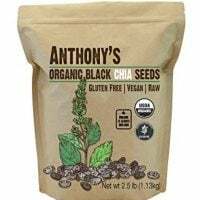 Chia seeds have become very popular in recent years because they are very nutritious and super versatile. They can be used as an egg substitute, added to smoothies and energy drinks, and used to thicken soups and sauces. But the most popular way to prepare chia seeds is to make chia pudding. A low-sugar chia pudding makes a great healthy snack and can also be eaten for breakfast. 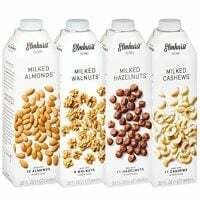 And if you sweeten it with some natural sweetener, you can create drool-worthy desserts that are not only healthy and delicious but also look like they were prepared in a fine restaurant. 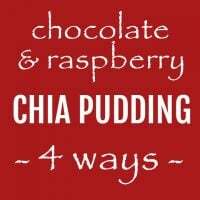 In this post, I am showing you how to make four different chia desserts using the same five ingredients. The classic flavor combination of chocolate and raspberries is often used to create traditional desserts, cakes, and ice cream. It’s also one of my favorite flavor combinations. So, a few years ago I decided to try and make a chia pudding with chocolate and raspberries. It worked really well, and I published the original recipe for the Chocolate and Raspberry Chia Pudding (#4) in December of 2013 here on the blog. As time went by, I had come up with three more ways to make this dessert using the same ingredients. So in May of 2017, I updated this post to include Chocolate Chia Pudding with Raspberries (#1), Raspberry Chia Pudding with Chocolate Chunks (#2), and Chocolate Chia Pudding with Raspberry Sauce (#3). I also improved the original recipe by adjusting the ratio of the chocolate pudding and adding a small amount of maple syrup (the original recipe didn’t include any sweetener, and many people commented that the dessert wasn’t sweet enough). These four chia desserts are made by combining the same ingredients in a slightly different way. No cooking is required (well, apart from melting the chocolate). All you have to do is a little bit of stirring and soaking the chia seeds, and you’ll have some healthy Instagram-worthy desserts to treat your guests or enjoy on your own. 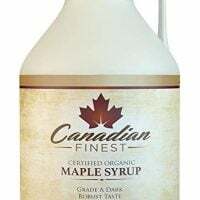 maple syrup or coconut sugar (no sweetener is need for the Chocolate Pudding with Raspberries). 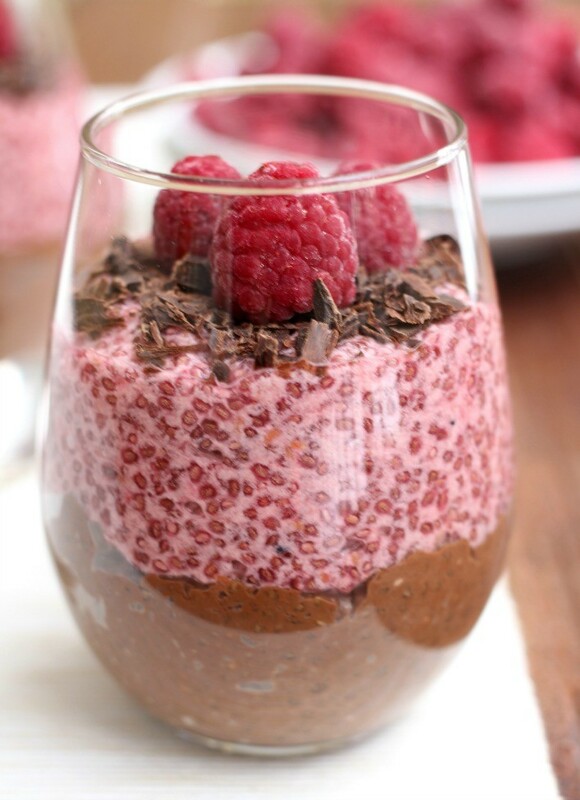 This chia dessert is made by simply combining the chocolate chia pudding with raspberries. Although you can use fresh or frozen raspberries to make this dessert, fresh raspberries are preferred because they hold their shape better and don’t contain extra moisture. 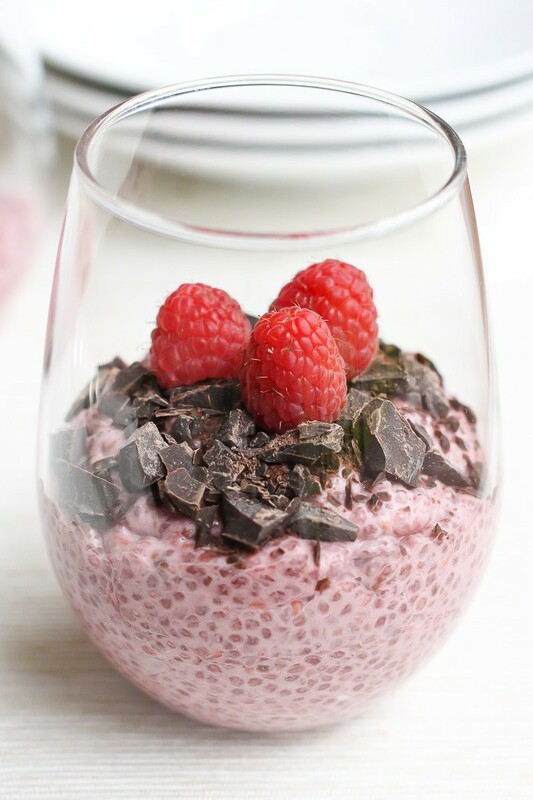 This chia dessert is made by combining raspberry chia pudding with chocolate chunks. 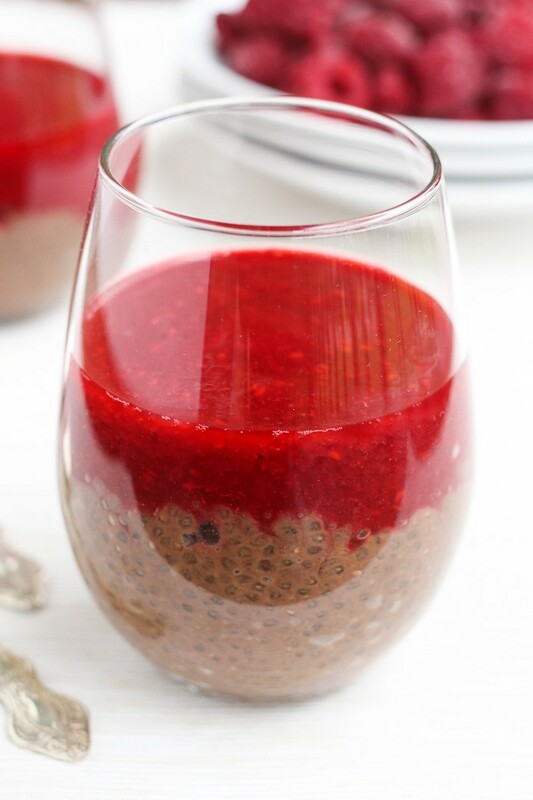 You can use fresh or frozen raspberries for this chia pudding. Make sure to use a good quality 70% dark chocolate and make chocolate chunks yourself by simply chopping the chocolate with a knife. Decorate this chia dessert with a few raspberries to add some color. 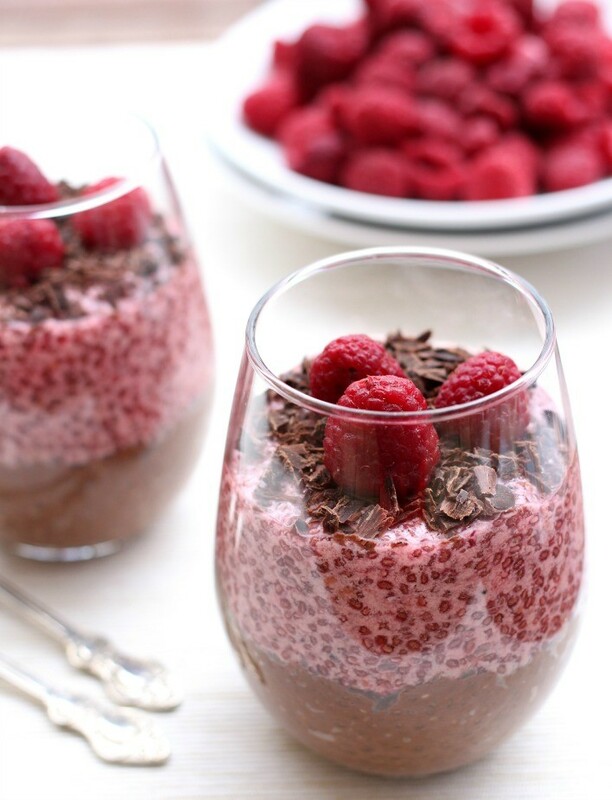 This chia dessert is made by combining the chocolate chia pudding with raspberry sauce. You can make the sauce smoother if you push it through a strainer to remove the tiny raspberry seeds. Check out the step-by-step tutorial on how to make raspberry sauce. This is the original recipe that was first published in December of 2013. 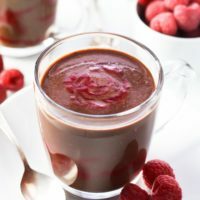 This chia dessert is made by combining the chocolate chia pudding with raspberry chia pudding and garnishing it with some chocolate chunks and raspberries. 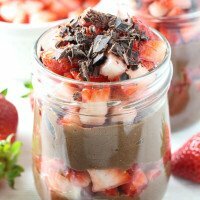 The chocolate chia pudding is heavier than raspberry chia pudding, so it’s better to put it on the bottom layer. Transform a plain chocolate and raspberry chia pudding into the Instagram-worthy desserts. Only five ingredients. Very easy to make, healthy, and delicious. Place the chocolate in a small pot and add 1 cup of milk. Start melting the chocolate by warming it up over medium heat. Make sure the mixture doesn’t become too hot. Stir until the chocolate is melted and combined with milk. When the chocolate is melted, take the pot off the heat and add remaining 1/4 cup of milk. Mix and let it cool to the room temperature. Once the chocolate milk is cool, pour it into a jar or glass container and add 3 tablespoons of the chia seeds. Mix well until all the chia seeds are covered with the liquid. Let it stand for about 10 minutes then stir one more time. Cover the container with a tight lid and place in the refrigerator. Keep the chocolate chia seeds in the fridge overnight or for at least 8 hours. Once ready to prepare the dessert, stir the chia pudding with a fork to loosen it up. 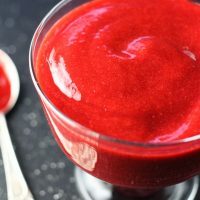 Puree 1/2 cup of raspberries in a food processor or blender. Add 1 cup of milk and 2 teaspoons of maple syrup and pulse a few times to combine. Pour the mixture into a jar or a glass container and add 3 tablespoons of chia seeds. Mix well until all the chia seeds are covered with the liquid. Let it stand for about 10 minutes then stir one more time. Cover the container with a tight lid and place in the refrigerator. Keep the raspberry chia seeds in the fridge overnight or for at least 8 hours. Prepare the chocolate chia pudding following the above instructions. Once the pudding is ready, arrange it in dessert glasses or bowls by layering the pudding and raspberries. Prepare the raspberry chia pudding following the above instructions. 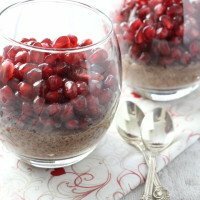 Once the pudding is ready, arrange it in dessert glasses or bowls. Sprinkle with the chocolate chunks and decorate with raspberries. 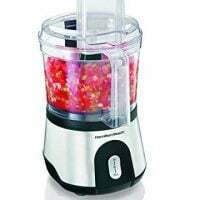 To prepare the raspberry sauce, place the raspberries into a food processor or blender and process until smooth. Add 2 teaspoons of maple syrup and pulse a few times to combine. You can also push the sauce through a mesh strainer to remove the seeds. Check out this post for more info. Once the pudding is ready, arrange it in dessert glasses or bowls and top it up with the raspberry sauce. Prepare the chocolate chia pudding and the raspberry chia puddings following the instructions above. Once the puddings are ready, arrange them in glasses or dessert bowls. 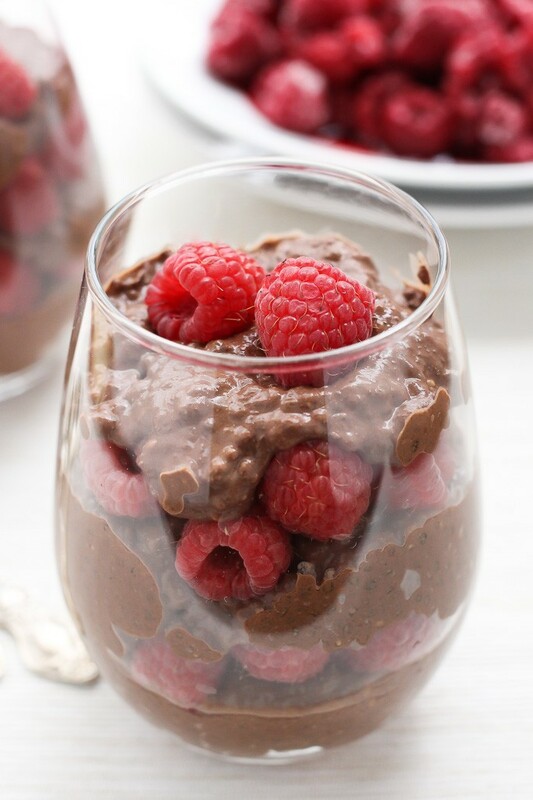 Place the chocolate chia pudding on the bottom and the raspberry chia pudding on top. 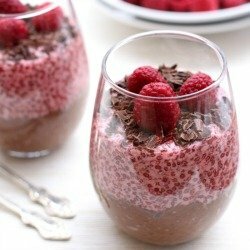 To decorate the chia pudding, add about 2 tablespoons of the shaved chocolate and a few raspberries to each dessert glass. Nutrition information is a rough estimate for 1 of 2 servings calculated for the original Chocolate and Raspberry Chia Pudding recipe (#4) made with almond milk. This was delicious!!! Very creative recipe. Thank you for sharing. Wow 4 recipes in 1! This has been pinned! Any combo of raspberries and chocolate is fab…especially if it’s for breakfast & good for you too. For the person concerned about the sweetener, you can also sweeten in a ‘no sugars added’ way by blending a banana with the milk & then using that to hydrate the chia seeds. 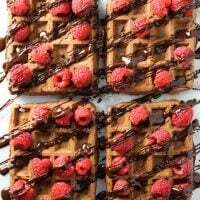 Banana also gets along ok with chocolate & raspberries can easily over power the banana’s flavor leaving mostly the sweeter taste. Delicious recipe, thankyou! Perfect amount of sweetness and amazing texture. How long would this last in the fridge? It good for 2 days. After that it starts to get a little bland not noticable. I kept it for 5 days for my friends who could never make it. They kept saying they would come please keep it (after seeing the pics I posted) they loved it after 5 days. 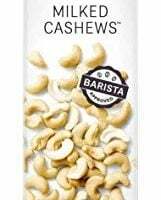 But I could notice a slight decrease in flavour. Hi, Abbey! I am so glad you like the recipe. Like Mangalore Cafe said it keeps well for about two days. The chocolate chia pudding would last longer than the raspberry. But if they have been mixed, especially if you’ve added the berries, I wouldn’t keep it more than two days. 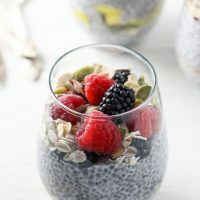 Agave also works amazingly well with this recipe, i would not recommend honey in this recipe because it seems to take over the flavor, For my first ever chia pudding it was amazing! I added a bit of organic maple syrup to both the raspberry and chocolate mixes. Also I am vegan and did not have any vegan chocolate chips handy so I substituted those for cocao powder and a splash of vanilla. I also substituted coconut milk with almond milk as it was the only thing I had. Turned out great! The chocolate layer was nice a rich and the tartness of the raspberries complimented it nicely. It was also very easy and I am a college student so anything that is quick and easy is right up my alley. Thanks for the post! What chocolate did you use? There are so many options for dark chocolate and I’m never sure which one is best. Thanks for your help. I used 72% dark chocolate. I would say anything 70% and up is good. 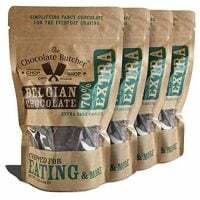 For this recipe or any other recipe where you have to melt the chocolate, it’s better to buy the chocolate in a bar or large chunks and not chocolate chips. Chocolate chips have stabilizers in them that help to keep the shape when baking and for this reason, they don’t melt well. I hope this helps. Let me know if you have any other question. What kind of coconut milk do you use. 100 % coconut milk out of a can? And how many grams is a chocolate square? I made mine with macadamia milk, pineapple, brown sugar and some grapes added. It was awesome. I didnt use cinnamon only cocoa powder.